How Bad Is The Nuclear Deal with Iran? Disclaimer: This opinion is neither an endorsement nor a rejection of the deal with Iran. It is probably a moot issue now since Mr. Obama has secured enough votes in the House to avoid a veto override by Congress in regards to the Nuclear Agreement made with Iran along with five other world powers. In other words, the Nuclear Deal with Iran by the Obama administration cannot be undone. Wouldn’t you want to know anyway if it’s a bad deal? After all, Republicans are against it (all of them voted against it) and Republican candidates for president vow to reject the agreement if elected to the Oval Office in 2016. Let me first clear an important point, should you care? Chances are your understanding of the Iran Nuclear Agreement Deal comes from watching one of your favorite hosts on TV or listening to your favorite shows on Radio but most likely from quickly scanning news headlines on the internet. You have to get it from somewhere, right? That would be fine; in fact, there was a time when it was probably okay to rely on the news media to dissect complex issues (such as that deal with Iran) and explain in simple language to the public. Today, complex issues are not the problem; we are much smarter (at least we hope so) than our parents and grandparents but most of us are much too busy to do our own research, so we have to rely on someone to explain what’s going on. Unfortunately today, News Networks are propaganda machines for one party or the other. If you tune in to any network (TV or Radio) where debates over the deal are raging, you either feel very confused (assuming you are genuinely looking to understand the agreement), gratified (if you’ve already made up your mind and the debates align with your views) or angry (if you’ve already made up your mind and the debates reject your views). In essence, those three camps make up the bulk of the individuals who have expressed some sort of interest in the Nuclear Deal with Iran. But what makes it most confusing is the fact that the latter two camps are political adversaries who would never agree on anything – even if it’s good for the country – no matter what; they would twist information to advance their political agendas. The camp against the deal is the Republican Party (ALL REPUBLICANS); the camp for the deal is the Democrat Party (SOME DEMOCRATS). This is in essence what makes it the most daunting task for anyone who doesn’t belong to either Party to really understand what that deal is all about and whether it’s good for the country. Iran has agreed to transform its Fordow facility into a research center where Iranian and world scientists can work side by side. What’s the big deal? Well, this is the site Iran has used for enriching uranium in centrifuges, an important stage in building nuclear weapons. The other big deal is that the site is located deep underground, making it out of reach of any bombing campaign in case of a war. So, the world has gained much not only to have access to the site but also to get Iran to stop enriching uranium in that location. Iran is allowed to continue to enrich uranium for civilian purpose; this is achieved by limiting the maximum percentage of enrichment (3.67%) – enough for non-military purpose – Iran is allowed. To make good on the agreement, Iran has also agreed to reduce its stockpile of uranium by 98%. What’s the big deal? Enriched uranium is used to build nuclear weapon. Iran would most likely sell the uranium surplus to Russia. In addition to the limitation on uranium enrichment and the reduction of the stockpile of uranium, access to Fordow facility makes it quite difficult for Iran to engage in activities to build nuclear bombs. Besides, the materials used for such purpose are highly detectable by sophisticated aerial instruments thousands of miles away. The economic sanctions on Iran were obviously not pleasant which would explain the reason Iran had agreed to sit down with the world powers to discuss the lifting of those sanctions. Economic sanctions (on any country) usually punish the people, not the rulers. The rationale used for imposing sanctions suggests that if the people’ sufferings are harsh enough, they would rise against the government in place. The lifting of the sanctions would alleviate the sufferings, thus making it hard for the government in place to go back on its words, for a re-imposition of sanctions may trigger opposition, protests and even overthrow of the current regime. So, the United States and the other world powers are counting on that rationale as incentives against breach of the agreement. This is a no-brainer; the International Atomic Energy Agency (IAEA) will have unlimited, uncensored access anywhere within the country. In other words, IAEA without notice can conduct inspection anywhere in the country, surprise inspection so to speak. Think of your parents dropping by your dorm unannounced; if you have a messy dorm or you were in the middle of doing something inappropriate, there would be no time to fix anything. This section of the agreement should really put to ease any dissenter. If you recall, it was suggested to the Bush administration to let IAEA inspect Iraq before the bombing campaign; had Bush simply let the agency do its job, the Iraq war could have been avoided. Wars are expensive. See Cost of War vs Cost of Education. What’s the big deal? The agreement makes it less possible to sacrifice the lives of our soldiers in whimsy escapades. This is a tough one; well, at least it was. But as of this writing, the Obama administration does not face any obstacle in regards to the agreement. So, what’s next? It’s really extremely difficult to know whether the arguments against the deal have any merit. Everything Obama is opposed, argued against and rejected by all Republicans. One would be hard pressed to come up with a single example of anything done by Obama and its administration that has received Republican support and/or approval. So, only time will tell whether the deal is actually bad, or it’s just bad because it was done by the Obama administration. 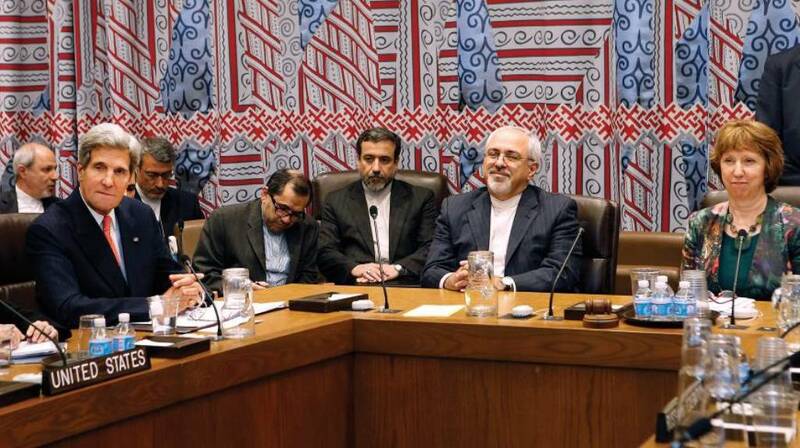 Is The Nuclear Agreement with Iran Mission Accomplished?